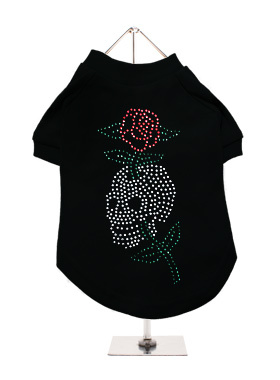 Exclusive GlamourGlitz 100% Cotton Dog T-Shirt. With a tattoo design attributing to 80's Glam Rock and crafted with Silver, Green and Red Rhinestuds that catch a sparkle in the light. 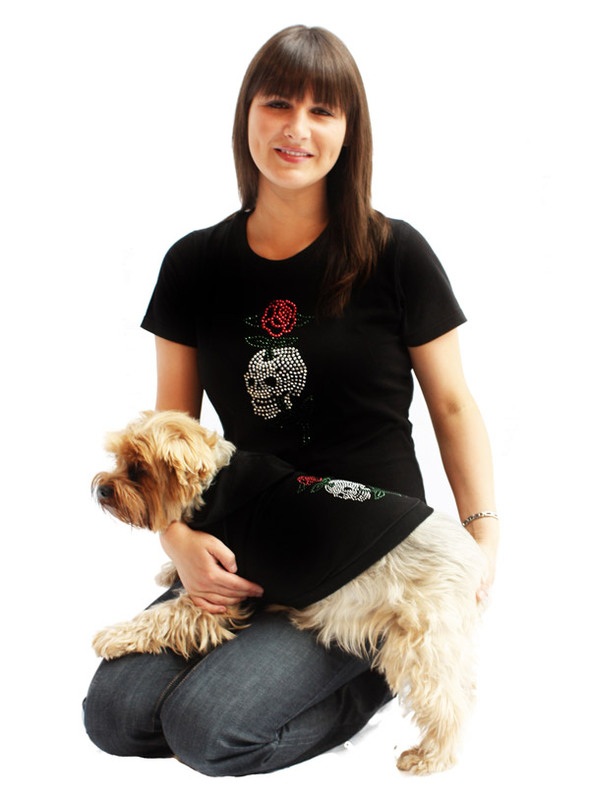 Wear on it's own or match with a GlamourGlitz ''Mommy & Me'' Women's T-Shirt to complete the look.